There's nothing like the rush of watching your team win with a shot at the last second in overtime. 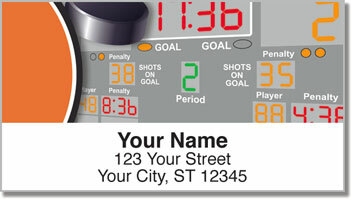 Intensity builds throughout the game and you feel like you've been holding your breath forever. Then when that puck crosses the goal and it's all over, you completely lose it, cheering and celebrating with everyone around you. 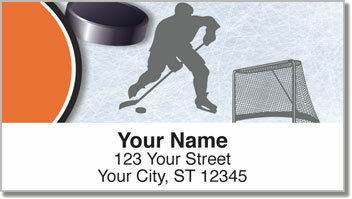 Now you can stick the excitement of your favorite sport on all your mail with address labels featuring your team's colors. 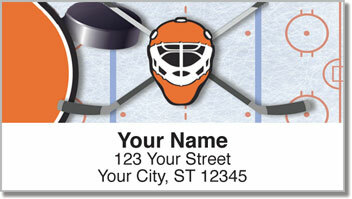 These labels are self-adhesive, so you'll never have to write out your name and address on another envelope ever again. 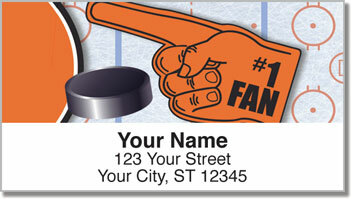 Order your own Orange & Black Hockey Address Labels now! You can also get matching personal checks.